Afrobeats entertainer, Dbanj has revealed that he struggled to put a snippet of his new song with Sarkodie on the Vodafone live website, although the idea would make him richer. Just like with any new thing, perhaps the singer wanted to protect what he had before it got out onto public domain.According to D'banj, new song, does not have a title yet, but he is optimistic that it would be a hit like his previous. Talking of the process involved in the making of the song the multi-talented singer said it was almost an overnight process.D'banj explained that he had to think carefully to choose who to feature on the new song. He added that Ghanaian rapper Sarkodie was the first to come to mind, hence calling the rapper to feature on the new song. According to the musician, it's now left with the making of the music video. Hopefully with the money that would come through from each downlaod, Dbanj may forget about the pain of having to put his untitled song onto the public scene. He would probably be asking for more uploads, after this. In other news Dbanj, revealed that he met Kanye West in Dubai and Kanye was fascinated about how he is able to ad-lib in his local dialect, aside singing. Talking to celebrity publicist, Ameyaw Debrah, the singer described it as a preparation meets opportunity affair.So for D'banj the opportunity of meeting Kanye West in Dubai, led to his signing unto GOOD Music in June.On Kanye West's Good Music label are artists such as well-known American musicians John Legend, Common and Kid Kudi. 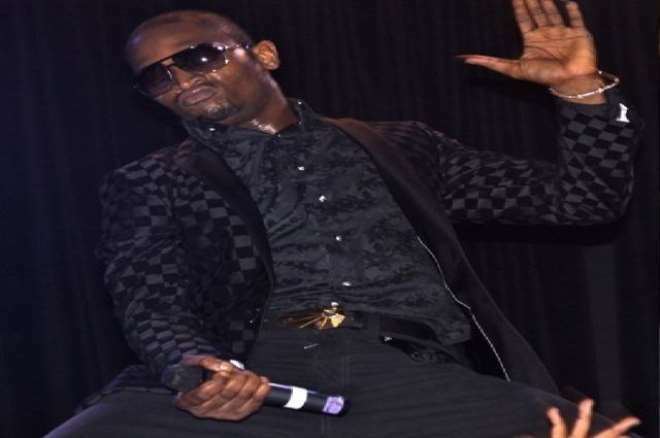 Dbanj also expressed his excitement at being on Kanye West's label. As you may know Dbanj split from partner Don Jazzy months ago and when he was asked about this, it was evident the singer did not want to comment on it. Watch D'banj talk about the Vodafone music portal and working with Kanye West. Photo: Toni Payne Poses With 9ice's Pregnancy?